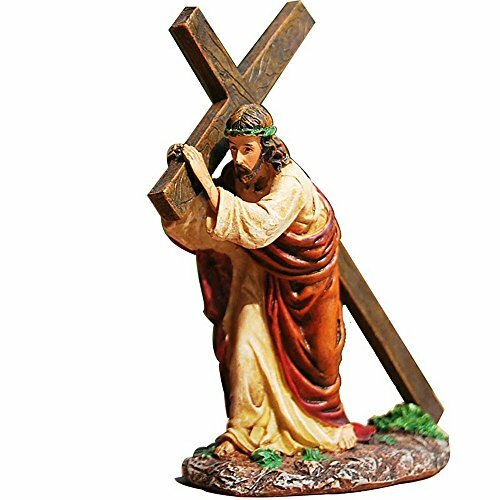 Material:Resin Size：11cmx5cmx12cm Do manual work is delicate, the cross can be put on the table, shelves, such as computer home where everything you want to be. 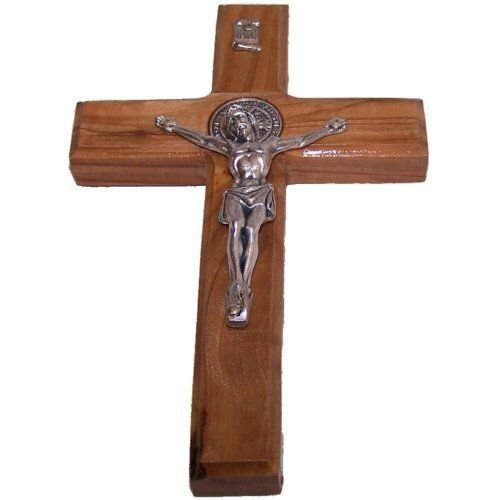 Not only beautiful, the cross is very light, also can put in the car, May Jesus bless you bon voyage. 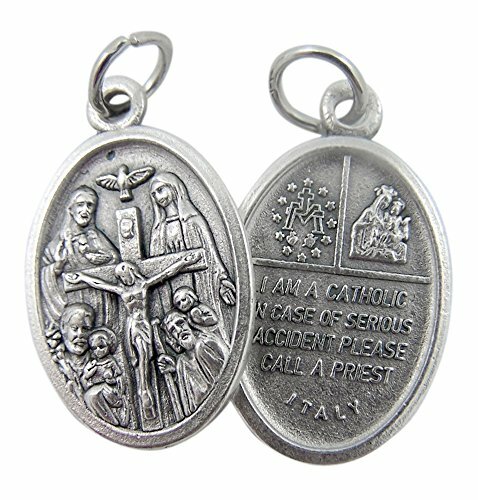 ❤.May God Bless you. 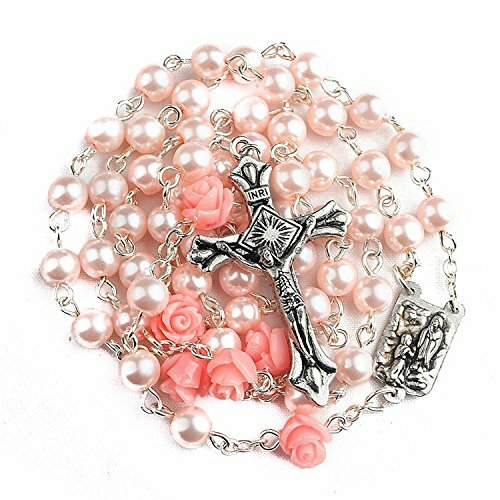 Catholic Pink Pearl Imitation Beads Rosary With 1.6" Long Beaded Necklace Holy Lourdes Medal And Silver metal Cross There are 5 decades communion rosary, 53pcs pearl Prayer Beads, and 6pcs roses that lead to the Medal & cross Catholic Spiritual Jewelry beads Rosary, Worn as a necklace Makes a wonderful gift for any occasion, birthday, Confirmation, First Communion, Baptism, and Perfect Keepsake For friends or family member. 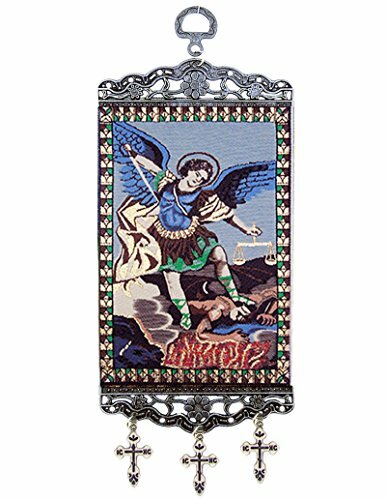 MUSICAL. 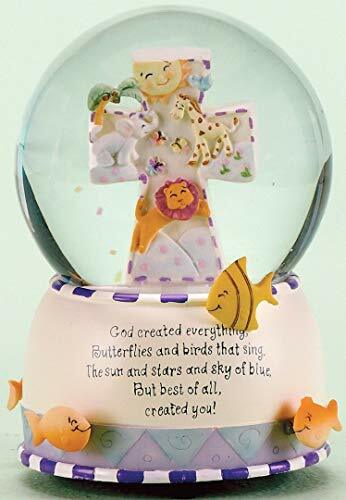 6" GOD CREATED EVERYTHING WATER GLOBE. 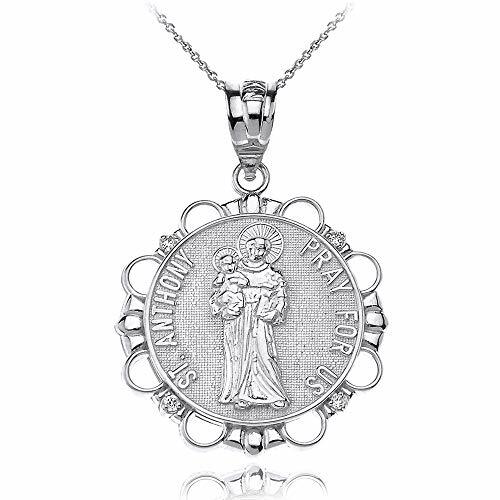 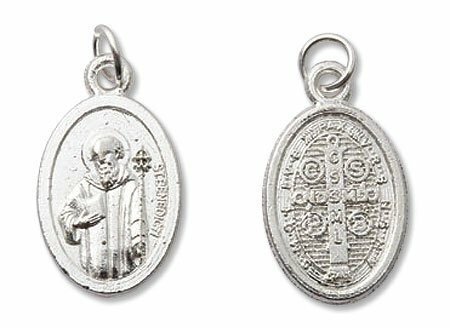 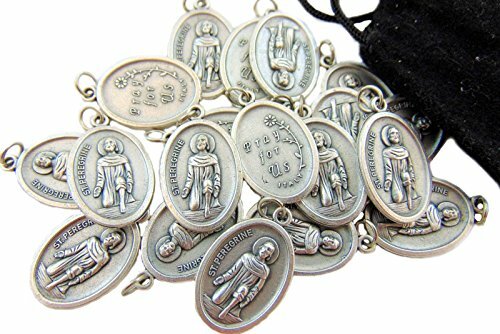 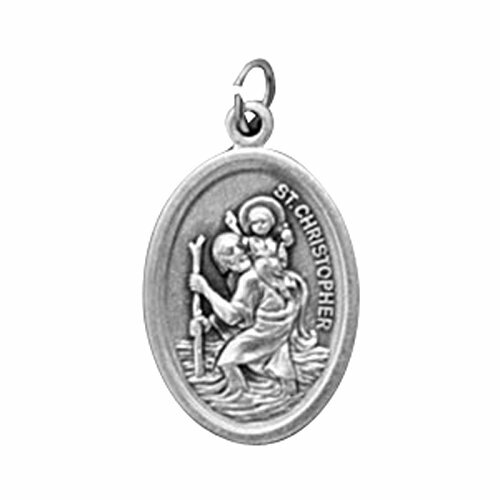 "TALK TO THE ANIMALS"
Sterling Silver Round Saint Anthony Patron of Lost Articles Medal CZ Pendant Necklace, 16"